I’ve been thinking about some of our weird state boundaries. Not being much of a historian, and not caring overmuch about state (or any other) politics, I figure we should combine West Virginia and Virginia. Maybe subsume Maryland in there while we’re at it? North and South Carolina? And what about collecting Kentucky, Indiana and Ohio into a single conglom? Vermont and New Hampshire might resort to fisticuffs, but they ought to be forced into union for sake of efficiency. C’mon . . . at least Rhode Island and Massachusetts. . . . Not sure what to do with the Maine and Florida appendages — they’ll always just stick out, I suppose. It’s a good thing Texas is gargantuan, because it probably couldn’t be combined with any other state, anyway, but some of the above merging could work, couldn’t it? Wouldn’t the combos make sense? We could cut down on so much overhead, so much waste. Maps would look more squared off. And worse — we wouldn’t have as many state senators. Oh, wait — that would be a good thing. Oh, bother. I guess we can’t do this kind of thing. Too many vested interests are at stake. I’ve also been thinking about some of our Christian delineations. Not being much of a churchman, and not caring overmuch about denominational (or nondenominational) politics, I figure we should combine the Presbyterian Church of America and the United Presbyterian Church. And the Wesleyan and Free Methodist groups. And the Mennonite Brethren and the Mennonite Church USA. And the AME and AMEZ and black UMC groups. And the Church of Christ and the Christian Church. Somehow, I don’t think it would work to merge all the Church of God denominations — not even the two largest, which differ in some major arenas. But c’mon . . . let’s at least combine at least the Southern Baptists and the Regular Baptists and the American Baptists. And in this “voices” post, I suggested implicitly that the term “Christian” is used variously and inaccurately. I then specifically invited answers to a query about the use of the word “Christian.” Only one reader bit (thanks, John), but presumably, more of you at least thought about it. “Christian” is a term that deserves thought. Among the worthwhile slogans of the Campbell-Stone American Restoration Movement is this one: “call Bible things by Bible names.” We might infer from that suggestion that, since the Bible doesn’t speak of trash cans or trains or traffic, terminology in those spheres may be relatively unimportant. However, the Bible does speak of pastors and parables, of sin and salvation, of Christ and Christians — so we ought to speak biblically accurately of such things. And so I come to the question again: what of the word-concept “Christian”? What does it commonly mean? Biblically, what does it mean? And therefore, how should we use the word? Put another way, how may we rightly define the term “Christian”? About 15 years ago, my own voice was heard from a pulpit, of all places. (I may soon have the opportunity to “preach” formally again, but it will be more exegesis than sermon at this point in my life, and this is all beside the point.) In that fateful sermon, which ended up upsetting some folks sincerely and others vicariously or by projection, I called our small-to-medium-sized Church of Christ — which was fairly moderate and fairly healthy — to examine ourselves. I believed then, and still believe, that sectarianism exists within us. A movement is the evidence of collective energy for a cause. A denomination is a named entity that grows out of a movement. A sect is alternately thought of a) as a delineated segment from a movement, or b) as a denomination crystallized. The use of the term “sect” instead of “denomination” is sometimes intended to sound more harsh, implying divisiveness and not mere division. A cult would be a sect that engages in brainwashing and/or illegal activities, usually based on one or more charismatic personalities, and marked by either excessive, strongly counter-cultural behaviors. The above definitions are my own, formulated within 4-5 minutes. They are not put forward as exhaustive or as even commonly accepted, but they can serve as working definitions for the purpose of this blogpost. In naming the sectarianism within us in the Church of Christ in my sermon years ago, it was my purpose to call out those who would render blind whole groups of people to the self-righteous obstinacy of the decades — and then, to spur us toward serious thought about what it is to be a “Christian.” What does the term really mean, and how did/does it function as a label? I was taught on many occasions that “Christian” means “like Christ.” But if we push that definition too far, those in a sectarian denomination may begin to believe they are the most like Christ, setting themselves up as “the only Christians” instead of merely being “Christ-followers only”. One illustration I employed in moving toward a variant definition of “Christian” was the label “Bostonian”: a Bostonian is not necessarily like Boston, but she is of Boston, belonging to Boston. If we can re-envision ourselves as being of Christ, based on the scriptures’ idea of a) coming into, b) remaining in, and c) growing in that state, well, I think we could move back from being a sect or denomination to a movement. In the church sphere, what would make a good logo? Although changeable signage offers appealing variety that may pique the interest of passers-by, a single, simple, well-conceived logo is surely best, in order to foster recognition over time, and to identify the group appropriately. A church name with the word “Bible” in it may suggest an appealing adherence (see prior post on Bibliodoxy), but the name “Bible Church,” in focusing on printed matter over its Lord, probably doesn’t make the best logo. Similarly, the ever-popular “Fellowship” focuses the lens on the people rather than on the Savior. Whatever shall we call ourselves? Whatever shall our logo be? I know, I know — it’s more important simply to be God’s church, rather than fretting over verbiage on the sign and the letterhead. Still, I will always care about the label. Labels and logos that honor humans (St. Thomas Aquinas, Mennonite, Wesleyan) or theological or practical underpinnings (Lutheran, Catholic, Family Life) or methodological organization (Presbyterian, Methodist, Episcopal) all seem off-base to me. The church is to belong to the Lord, not to us lopsided lunkheads who loosely lay claim to His throne. At first glance, there is an obvious tie among the four — count ’em, four — logos shown at the left. Yet there are differences among them that caused a group of someones, at some point, to opt, on behalf of the entire institution, for a new logo. I have been an employee of the named institution for 4.7 years and have personally used materials with four different logos. Four. In less than five years’ time. Does anyone see anything wrong with this fact? And does anyone deign to question why I won’t bend over backwards for the various, revolving-door Marketing and P/R folks who, in their well-intended zeal, have perpetrated such annoying, egregiously paper-wasting acts upon a campus that is otherwise often overwrought in terms of environmental consciousness? In the church sphere, what would make a good logo? Please check back tomorrow. . . .
Dear John, why, if you were indeed ready to believe, did you not continue along the path of restoration? What caused you to retain all the peripheral “stuff” of Christianity? A piercing voice is heard, through the millennia, above Wesley’s sincere, yet ultimately short-falling, question: why, oh why, do we continue to depend on man-made church structures? Why do we hold so tenaciously to a-biblical and even un-biblical hierarchies? It doesn’t matter whether it’s the Anglican Church within which Wesley was working, or the United Methodist Church that he spawned, or the Roman Catholic institution, or the Church of Christ, or “River of Grace Ministries,” a stereotypical nondenominational church where Joe Jones, “founding pastor,” calls the shots. They are all man-made structures. When the early church “moved” to Greece, it became a philosophy. When it moved to Rome, it became an institution. When it moved to Europe, it became a culture. When it moved to America, it became a business. However, this is not the end of the story. God, help us. Move us backward in principle as we move forward in time. Unity and restoration were both key goals of the American Restoration Movement, and of many of the more serious Christian thinkers and practicers throughout history. These goals are often found in opposition to one another. In other words, if one is asserted, the other suffers. 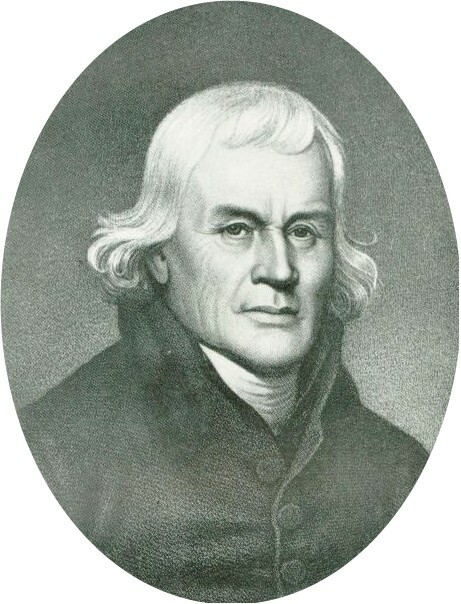 For example, James O’Kelly led a division among American Methodists in 1793, apparently largely in opposition to the religious tyranny of the circuit-riding “bishop” Francis J. Asbury. Inasmuch as O’Kelly was presumably restoring, disunity resulted. If he had opted to accede, to resign himself to something not purely biblical, restoratory goals would have suffered. A slogan of old was “Let Christian unity be our polar star.” Such a galactic berth for unity may be a mite too high, in the grand scheme, but certainly the Lord’s Prayer (John 17) calls for unity with passion and conviction, and we should, too. for there is but one body, and one Spirit, even as we are called in one hope of our calling. May restoration continue to occur, and may unity grow alongside it. May unity be found in scriptural truth and in the truth of Jesus the Living Word. Continuing from the past few days, I’ll add a few more points and will soon leave this matter of Christian unity. Unity based on single doctrinal points (or families of related points) may be difficult to achieve, if not completely fallacious. Water unity isn’t even attainable within the circles of the Baptist denomination(s) or the Church of Christ, for instance.¹ Calvinistic unity, too, is elusive, as may be observed in a casual glance at the Presbyterian Church (either of them), the Christian Reformed Church, and the Lutheran Church (either of them). Head unity is based on reasoned understandings and was stressed by Alexander Campbell and Disciples of Christ in the 19C,² but it depends on conformity of human brain activity and is not likely to occur. Still, it probably does us good to narrow the sense of core Christian doctrine down to the facts upon which more/most of us may unite. Many of us can agree on such facts as Jesus’ birth to the virgin Mary, His atoning, sacrificial death, His miraculous resurrection, etc. Opinions about the facts are other matters altogether. Never can two thinking Christians unite on every peripheral opinion, induction, or deduction about a biblical fact, but the facts themselves deserve much consideration in this arena. False unity results when a charismatic leader describes unity and asserts it where it does not exist. Gregarious pastor-types may seek popularity by means of downplaying differences and making things appear more unified than they are. Glistening or syrupy sermons do not create unity. Leroy Garrett highlights what Barton Stone called fire unity –the gift of the Holy Spirit. Inasmuch as this means the unity given by the Spirit that we are merely to maintain (Eph. 4), it warrants attention. It’s not a goal so much as it is a reality: we don’t need to achieve it; it’s already achieved. But if “fire unity” means some supra-natural manifestation of the Holy Spirit–or even vaguely refers to something like “the Pentecostal fire of Christ’s presence”–as a marker of unity, it’s clearly not very unifying and is bound to fail. Sunday-only unity can be more difficult for some, and less difficult for others. Whether it works depends, in part, on one’s ecclesiology in terms of the assembly–how prominently corporate Sunday activities figure into the scheme or worldview. If one thinks that what is done on Sundays is central and non-negotiable, agreement on those things is necessary for peace, as it were. By conscience, some insist on conformity in all things observable during the Christian assembly.³ This scenario may be difficult to imagine in reality (or it may almost be assumed by those who by personality or conviction are bandwagon believers), but I have found it to exist commonly in the churches of the ARM. It may be experienced rather shallowly in suburban and urban areas, but it is experienced nonetheless, and a measure of conformist peace may be reassuring. On the other hand, this kind of unity is at once elusive and illusive. A false “blueprint” conception of the New Covenant writings may be at the foundation. The scriptures were not written to provide a precise pattern for church behaviors, although they do provide many guiding principles — and certain specifics — for all aspects of living. If one thinks more relationally, i.e., how I believe in relation to the sister or brother sitting in front of me or beside me, then corporate activities take a back seat. Large-scale aspects may be agreed on, or not, and the relationships will continue to be primary. As the ultra-rightist, Reaganite, Commie-hating character Alex Keaton (Michael J. Fox, Family Ties) once articulated it when considering a Russian chess opponent, “It’s easier to hate a country than a person.” Stated in the positive, it’s also easier to love and accept a sincere, individual believer, than an entire, off-base denomination or a large-scale corporate practice not based in scripture. Perhaps a blend of extroversion and introversion is in order here: thinking soberly and biblically about what is done when Christians gather together, yes, but also emphasizing individual relationships and the discipleship of individual souls alongside the large-scale stuff. ¹ I understand that a Baptist forbear, John Smyth, immersed himself. If he did that for the sake of church membership, as many Baptists today call for it, I’d be shocked. ² The Barton W. Stone “side” of the ARM does not seem to have emphasized rationalism as much as the Campbell side. ³ Further in the Sunday-unity model, there may be implications for discussions in lobbies and in Bible classes: agreement on a list of items is either assumed or inflicted. Dissent is either absent or kept under wraps. A few weeks ago, three student ensembles under my direction presented a chamber music program at Baker Memorial Church in East Aurora, NY . This was a most enjoyable experience in terms of the hosting, the music, and my students. All this added up to pure delight. But I’m caused to think about church names and am not so delighted anymore. The Grace Dean Memorial Concert Series, held throughout the year at this United Methodist Church facility, is presumably aptly named for its original benefactor, but the naming of a church (or church building—I’m really not sure which, because there’s no distinguishing with the UMC and many other church groups) with some human moniker is, in my opinion, inappropriate. In fact, I continue to believe that most church names are to some extent inappropriate—when they take a human, or a human aspect, as their jumping-off point rather than simply labeling themselves, and simply being, Christian. What is it to be “Christian”? And what is it to be a “Christian” church or a “Christian” college? Will the adjectival use of a significant noun be appropriate? Will it be enough? Our name had to be biblical. Alexander Campbell preferred Disciples, while Barton Stone insisted on Christians, believing it to be the divinely-appointed name, based on Acts11:26, “the disciples were first called Christians at Antioch.” It was one of their disagreements. Campbell believed Christian was a name used in derision by outsiders, noting that in Scripture the disciples never called themselves by that name, not even Luke, the author of Acts, after saying that the disciples were first called Christians at Antioch. He went right on calling them disciples, and never Christians. Hardly a divinely-appointed name, Campbell insisted, but he was nonetheless honored to be called a Christian, even if at first used in derision. I grew up sensing an almost reverent conception of the term “Christian” and for a long time believed that that word was the only apt label for me, for us, for anyone serious about God. I have since added “believer” and “disciple” and, in my more quirky moments, “Jesus person” and maybe a few more. I still use the term “Christian” most often. Perhaps this is the term that describes status, while “believer” describes personal faith, and “disciple” describes living patterns? What happens in life is more important, but names are important, too. To return to the original church “value”: my church is not sectarian and is not part of a denomination or franchise. I will often criticize denominational trappings, but I do not condemn the people within the denominations simply for being named. What I oppose on a larger scale is divisive sectarianism, and for myself, I would much prefer to be part of a group that didn’t even come close to using a title—ANY title—even the name or title of Jesus Christ—divisively. Further, on the matter of affiliation . . . for a local congregation to be affiliated with a denomination is for me problematic–not absolutely necessarily so, but so frequently so that I am compelled to comment. The affiliation with a broader network can so readily compromise commitment to biblical truth, to authenticity of local mission, and to personal conviction that it must be challenged. Those who are naturally phlegmatic and/or submissive may be able to sit in the pews passively, disagreeing but not caring to make a fuss. Those of us with other temperaments and biblically based convictions cannot always sit idly by when affiliation leads to compromise. I care so much less about what the organization says than about what the Bible says, and, secondarily, what my conscience leads me to. My church, in the ideal, will not be affiliated to the degree that scruples and biblically based consciences will be threatened. My church will not be sectarian. However, my ideal church will not intentionally wear blinders. It will be aware of its own set of backgrounds, seeking to be informed about the impact of various tenets and practices of the past on the present. And my church will—because I’m involved with it, if for no other reason, be particularly informed by the strengths and weaknesses, ideals and objectives of the American Restoration movement led by, among others, Alexander Campbell and Barton Stone. So long as a man really desires to do right, to serve the Lord, to obey His commands, we cannot withdraw from him. We are willing to accept him as a brother, no matter how ignorant he may be, or how far short of the perfect standard his life may fall from his ignorance…We will maintain the truth, press the truth upon him, compromise not one word or iota of that truth, yet forbear with the ignorance, the weakness of our brother who is anxious, but not yet able to see the truth …Why should I not, when I fall so far short of perfect knowledge myself? How do I know that the line beyond which ignorance damns, is behind me, not before me? If I have no forbearance with his ignorance, how can I expect God to forbear with mine? …So long then as a man exhibits a teachable disposition, is willing to hear, to learn and obey the truth of God, I care not how far he may be, how ignorant he is, I am willing to recognize him as a brother. (David Lipscomb, Gospel Advocate, April 22, 1875). Paul chastises the believers in Corinth for following evangelists of different name and using their names to cause divisions in the church. It’s alarmingly amusing, or ironically distressing, or something, that I once found myself in a hotbed of disunity and trouble because I pointed out the same thing in 1 Corinthians. Here’s the setting. . . .
After I returned as an adult to the church of my youth, it seemed to me that things were going pretty well. We were moving in ways of worship, the mission team was functioning with heart, the newer elders were shepherding, our fairly new preacher was going in-depth with Pauline passages, we were having reasonably good Bible studies, good times of togetherness, good plans, etc. And then I was asked to fill in as preacher on a Sunday night. I spoke on the church universal and the denominationalism within us. This suggestion, in Church of Christ setting, was tantamount to an act of terrorism. I exaggerate, of course. And I do regret saying a few things the way I said them–needlessly provocatively. But quite a few people were visibly upset at the very suggestion that we could be using the name/title of Christ divisively. Yet in fact that can be, and often is, precisely the situation. It is the height of hypocrisy to do something covertly — with a huge tapestry of wool over the collective eye — that we accuse everyone else of doing to the detriment of Jesus and His cause. The name “Church of Christ” is no different from the name “Jehovah’s Witness” or “Methodist” or “Roman Catholic” if it is employed in the same way. And something along these lines was even happening in the 1st century, or Paul wouldn’t have warned against being divisive with Jesus’ name. At a peak in my campaign for nonsectarian Christianity, even I passed on a bumper sticker that proclaimed the driver a “Generic Christian.” That seemed a little chincy to me. But Christianity in its purest form is not attached to marketable “brand” or to the ownership and control of a franchise that’s attached to a larger organization. It may be helpful here to offer a brief treatment of terms and concepts. The general progression from movement to sect to denomination is fairly well documented. In a movement, at least a few aspects are likely purposeful, germinal. But given human nature, this will likely change over time. A developing sect is presumed to be countercultural, to some degree; this is a progression from “purposeful and germinal”–the tenets become more locked-in, more rabidly held, and it becomes an us-them mentality. But later … a denomination, which has much less excited sense of purpose, is a crystallization of a sect or movement. These are of course insufficiently simplistic descriptions, but they give some linguistic context to my belief that a denomination is not in itself in the wrong for being denominated. The mere use of a word to name or identify is not necessarily divisive. To be part of a movement is to be passionate, to be incendiary, to be progressive. To be part of a sect may be ill-advised, because the sect’s counterculturalism may be either cultish or off-putting. But “secting” may also be exactly what we’re supposed to do—“in the world but not of the world,” or, if you prefer, not “conformed to the world.” The problem is when “sectarian” becomes divisive. As I hear the word “divisive,” in no case should a Christian be in that camp. A divisive person causes division. This divisiveness differs from merely being separate from the world; to be divisive is to create sharp lines of fellowship within the body of Christ … to divide those that Jesus died for … those who accept Him on some level. I’ll be quick to point out that practical divisions are a necessity for those who have standards. I have walked out of churches, and will do so again, because they believe and practice things I find to run counter to the scriptures. But I must leave the theological, eschatological (ultimate, final) dividing lines to God alone. I may not be able to worship or study with this group or that, but it is not mine to assign them to hell. Further, it is not necessarily divisive to decide to split, or merely to be elsewhere on Sundays. These are natural outgrowths of convictions and study. One may be sincerely convicted that he cannot conscientiously be in this or that group of Christ-followers on Sundays, without having a divisive, contentious spirit. A few weeks ago, I questioned the idea that scripture is safely interpreted “in the community of faith.” This popular position had been verbalized, among other places, in the United Methodist Church’s official statement on the inspiration of scripture. While I didn’t intend to suggest that a sincere heart interpreting alone will always be “righter” than a sincere group of Christians, I did intend to suggest that the mere existence of a “community of faith” in no way guarantees correct interpretations. This principle extends far and wide—well past the borders of my own fellowship, but certainly including it, so I’ll say it again: a denomination or congregation (or “fellowship of churches”) is fairly likely to be off-base on this or that. The community of faith is a spiritual necessity, but neither its presence nor its proximity ensures right doctrine. A relatively minor example of what I consider an errant “community of faith” decision or teaching is what I’ve come, not so affectionately, to recall as “the sign debacle.” Several years ago, when I was a good deal more whippersnapperish, my church in DE was about to build a new sign for passers-by to see. After months of hint-dropping and conversations with the elders and others, I believed I had a really fine consensus for constructing and installing some kind of changeable sign. The sign I had in roughly mind would have been classy — not neon or cheap-looking. It would have provided opportunities for great advertising, and even some teaching, as it were: a sign that said “God’s Church” on Monday and “The Cedars Family of Jesus meets here” on Friday might have made some Rt. 41 drivers think. Again, I believe all the primary leaders — shepherds/elders of the church — were in agreement with my idea, in principle and in most specifics. But then a few others in the congregation got wind of the idea. And the narrow sectarians (whoa! I’m only catching my egregious labeling on final proofing, but I’ll leave it in as exhibit A) took over. The church was then effectively being led by a few naysayers and not by the leaders. This sign could have even had our fellowship’s well-known title still on it somewhere, for all I cared. As long as the opportunity existed to show that a scriptures-based Christian church was not to be pigeonholed by one exclusive name, we were doing something productive in the arena of nondenominational discipleship and witness to the surrounding community. I was motivated by principles of non-sectarian, unifying Christianity, and I still believe I was on the right path. The new sign ended up looking nice. “Real nice, Clark,” in the words of Eddie from the “Christmas Vacation” movie. But it said essentially the same thing as the previous sign had said for 25 years, and we went nowhere as a church. This kind of thing, I suspect, happens a lot in churches. And it’s just one reason that congregational consensus, a/k/a “interpretation by the community of faith,” is not always to be trusted. For a bit more on sign-ifying and the church, see here.